Llandudno, Conwy and more – The best of North Wales! 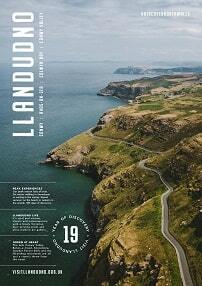 Welcome to our Llandudno and Conwy Tourism website. In a word (or three): Llandudno's got taste. Llandudno also has some classy neighbours – world class, even. Conwy is a World Heritage town. Its brooding medieval castle is a stern guardian, along with a string of well-preserved walls that wrap themselves around narrow streets stuffed with historic buildings. In this part of the world, short breaks, holidays and things to do come in all shapes and sizes. We have amazing Blue Flag beaches (including the excellent Colwyn Bay beach and Llandudno beach), the great orme, the Llandudno pier, the Llandudno cable cars, excellent theatres, a fascinating conservation zoo, top-draw golf courses, mighty big mountains and green valleys, some amazing restaurants, pubs and a complete A to Z of outdoor activities. Our easy-to-use website covers art and culture too, travel advice and tourist information, attractions, festivals, events and entertainment – plus all kinds of accommodation, from luxury hotels to self-catering, bed and breakfasts to holiday cottages and great-value caravan parks. 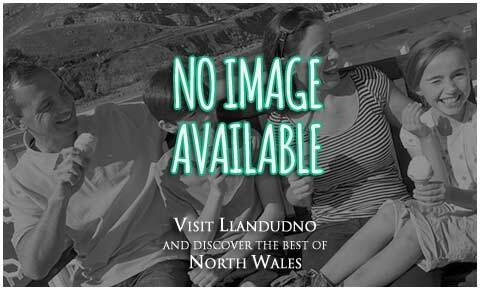 With the help of this website you’ll discover the best of North Wales, for we don’t just cover Llandudno and Conwy. Our area extends along the sandy North Wales coast and inland, down the lovely Vale of Conwy which includes the well-known and popular resorts of Abergele, Rhos-on-Sea, Llanrwst, Towyn, Deganwy and Betws-y-Coed at the gateway to Snowdonia. You’ll find sandy beaches, advice on where to do some shopping and where to stay, sports and activities on land and water, walking trails and wildlife. It’s all here...Go on, take a look, you know you want to! Easter is just around the corner and there are lots of egg-citing events happening in Conwy County to celebrate the occasion. A square stone keep dating from the 13th Century, built by Llywelyn ab Iorwerth (the Great). An old shop on Llanrwst high street, stocking Welsh and English books about / from Wales.